This compact-size model uses less electricity than traditional machines and features simple controls and spill protectors. 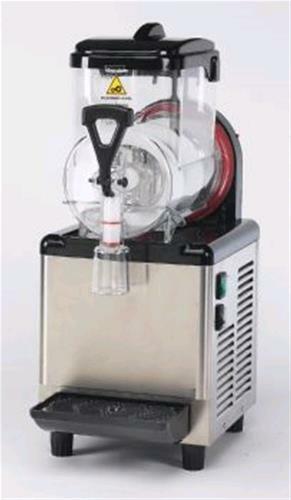 It is perfect for fruit smoothies, or you can make Margaritas and other blended favorites. Note: slush syrup is sold separately. * Please call us with any questions you may have about our machine gourmet slush machine rentals in Petoskey, Northern Michigan & The Upper Peninsula.